“A Song For You” is one of Gram Parsons’ most enigmatic songs, and most beautiful. But what does it mean? What story is being told? Could it also be descriptive of the soul of the narrator? Sound like he’s on one heck of a ride. Why is it her dance floor? Why are people staring? Why tell her to paint her front door a different color? And then almost a resigned statement that, yep, tomorrow we will still be there. OK, we know we’re in the heart of the old, languid deep South. Could it be people are staring because it’s an interracial love affair? Just one thought. 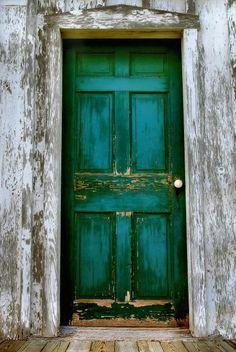 As for painting a different color on the front door, a good article about this: http://www.examiner.com/article/what-the-color-of-your-front-door-says-about-you. Could be emotions, as symbolized by the color of one’s front door, are about to change. Maybe he’s trying to tell her that might help, changing that color, possibly even change the quantum outcome that seems preordained? Losing the story line here? Not really. What is the ship Jesus built? To most folks in this part of the country, well, I guess the ship could be the world, and he built it so He, and perhaps the narrator/writer, could sing our songs to it, to its glory. The next line implies that, while he has found peace with this thought, not so much with some of his friends who are much like him. Maybe they’re artist types, musicians maybe, who are what they are partly because things just aren’t working right inside, and they don’t know quite where they belong. Wow, bang, just like that. The pretty picture has shattered, and in a matter-of-fact, this-is-the-way-it-is kind of way. Why is he leaving? He’s loved her every day. But he can see the sorrow in her eyes, that line written almost as if it’s an out-of-body experience and he’s watching the scene unfold, or about to. The third line, suddenly out of his inner thoughts now in direct address to her, reminds me of Faulkner’s “Memory believes before knowing remembers” (did Gram read ol’ Bill? he must have, or just that Faulkner expresses what is deep inside every Southerner, including Gram). I hope you know that no matter what I still care? Just so that blazing Southern sun doesn’t do too much more damage than I’m doing now? Hmmm. Then a quick syllabic “So” before the refrain to end (some hear “Oh” I hear “So” as in therefore). …And tomorrow we may still be there. Back to the moment, take me down to that dance floor girl, ’cause you just don’t know yet what I’m about to do to you. But does the last line change to “may” from “will”? Is he re-thinking his leaving? Would a different color on her front door change things? One last thing. Why such a simple title to such a complex song? The same title was obvious for Leon Russell’s “A Song For You” — it’s all in direct address to the lady and not much reading between the lines needed. But this painting? Perhaps it’s in line with Gram’s tendency to provide us with simple titles to some of his most intense songs (e.g, the “Hot Burrito” songs). ← Gram Parsons – An Underrated Songwriter? I think the color on the front door means Gram will haunt her even if she paints the door haint blue!! I always thought that the lines “Paint a different color on your front door And tomorrow we will still be there” was referring to Exodus, The Tenth Plague and Passover. Paint you door red (with the blood of a lamb) and the angel of death will pass over your home and tomorrow you’ll still be there (alive). Isn’t that literally what the holiday of Passover is about? I think so….the story says that God provides a way to escape the punishment of sin. Listen to him and you will be OK. Gram is practically counting the hours of his own life at this point (whether he knows it or not) and I always took it as his reflection of a higher power, God or the like. Exodus is all Old Testament/Hebrew Bible stuff and he then references Jesus; i.e. New Testament, but doesn’t that fit in with the whole Judeo-Christian vibe going on here? What do I know, but that’s how I took it.